I absolutely love the fact that more and more people are getting excited about celebrant-led weddings. Over the last few months, I’ve definitely notice a growing interest in personal, unique and individual ceremonies from couples and wedding professionals. The fabulous Country House Wedding Venues group are part of this movement and they invited me to talk about personalising your ceremony with a celebrant. My feature is now live on their brilliant website so why not have a read here? When you’ve finished, I thoroughly recommend browsing through their collection of inspiration articles or taking a look at their collection of wedding venues if you’ve not yet found the perfect spot for your wedding. A huge thank you to Country House Wedding Venues for asking me to talk about ceremonies with celebrants and here’s to individuality! 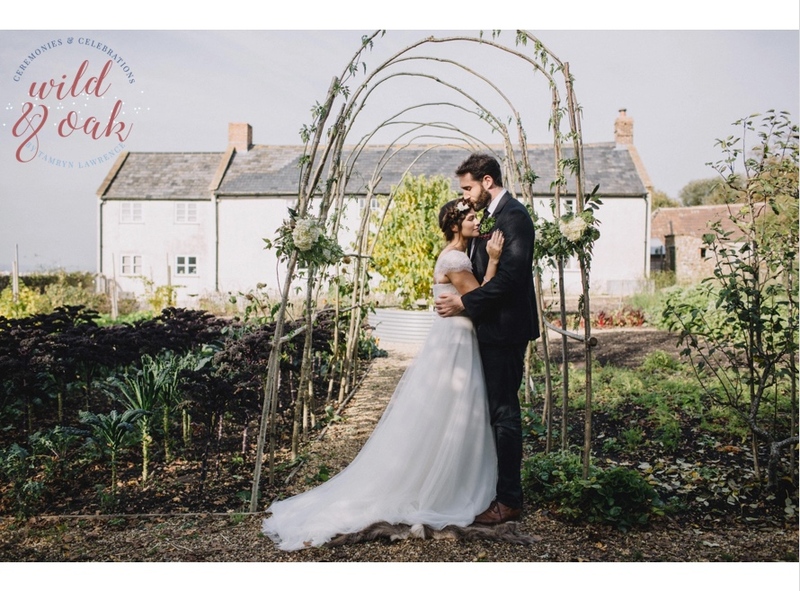 I had a lovely treat last week when one of my fabulous weddings from August 2018 featured on Rock My Wedding! Oh yes, Jesse and Ed’s beautiful wedding at Pynes House in Devon graced the pages of this fantastic blog and, as you can see, it was very special indeed. Planned by the insanely talented Katrina Otter, Jesse and Ed’s wedding was all about quintessential English style married with modern details. Romantic contemporary florals, crisp stationery and a whole host of perfect finishing touches made this a really special day. For Jesse and Ed’s ceremony, it was important that everyone in the room became part of the event. The two families hadn’t met before the day (as Jesse’s family live in the US) and for a number of the bride’s family, this was their first journey outside the States. We told their love story, of their online meeting and two separate trips to Rome that saw both of them make individual ‘please let us be together’ wishes at the Trevi Fountain and of Jesse’s childhood watching planes wondering if her Prince Charming was flying to find her. It was a lovely ceremony and it’s one I’ll never forget. A huge thank you to Jesse and Ed - it was such a pleasure to be part of your day and I’ll never be able to read ‘Sense & Sensibility’ again without thinking of you both. And here we are in 2019. I’m already looking forward to a year packed full of fabulous weddings but I know that for many couples, this time of year is all about wedding planning. So, let me introduce you to The Annual by Coco Wedding Venues. The Annual is all about inspiration and plenty of practical advice. It’s a beautiful beautiful planning magazine and over the 300 pages, you’ll find everything you need to know about creating a day that will be truly yours. I’m absolutely thrilled to say that some of my words of wedding wisdom have made it into The Annual. I’m talking about bring fully present on your wedding day, not letting distractions (digital or otherwise) get in the way of the most memorable moments of your life. This is something that I do feel really passionate about. It’s wonderful to see the reactions of guests as the bride arrives or as couples take their vows rather can standing before a sea of phones as people watch via a screen. More and more weddings I work on are ‘unplugged’ - everyone is asked to put their devices away, at least for the ceremony, so they can really be a part of things rather than being more concerned about taking photos. However, there’s WAY more goodness in The Annual than this. Gorgeous shoots, ideas, ace advice from a whole host of top wedding professionals and much much more. It’s a wonderfully empowering read and if you need excitement or down-to-earth advice, The Annual is the best gift you could hope for. Hop on over to Coco Wedding Venues now to have a peek inside or to download your copy. Stef and Steve couldn’t have chosen a more perfect venue for their wedding than the famous Temple Island in Henley-on-Thames. The couple met sailing so a wedding on the water was an absolute must-have. Everyone arrived by boat and there was even a ‘beautiful pea green boat’ for the couple, which worked so well with one of their readings, The Owl & The Pussycat. All the guests joined in the hymns with gusto and there were so many boats passing on the river as the Henley Traditional Boat Festival was taking place too. Just as we were coming up to the couple’s vows, I noticed a few guests pointing behind us, down the river. I took a super quick glance over my shoulder and saw the Queen’s Rowbarge, Gloriana, was just coming up to the island. I ad-libbed an intro and Stef, Steve and all their guests turned to applaud. As we clapped, all the rowers on the Gloriana lifted their oars in salute and shouting ‘three cheers’ to the happy couple. It was an amazing moment that we absolutely couldn’t have planned by my goodness, it really was the perfect moment in a wonderful day. So, as I mentioned earlier this year, one of my summer wedding ceremonies was filmed to be part of Channel 4’s documentary, A Very British Country House, featuring Cliveden House. Well, last night’s episode was all about Jenny and Michael’s wedding and although if you blinked you might have missed me, I was there conducting their ceremony. If you saw the episode, I can confirm that there were LOTS of photographers but what doesn’t come across on screen is how absolutely sweet Jenny and Michael are. They were both a little nervous before their ceremony and they also found the ceremony quite emotional too. It was lovely to be able to tell their story to their guests and also to include some Chinese elements too. There’s no doubt about it - Lydia, Cliveden’s wedding coordinator, is an absolute superwoman. Watching her work was just fantastic and I’m so happy to see how well she comes across in this series. She’s definitely someone who you’d want on your side during your planning and on the day itself. Bravo Lydia! Anyway, do take a peek at the episode if you can (it’s currently on All4) but if you do watch it, remember that the love stories that sit behind these weddings are what matter and as a celebrant, it’s my privilege to become a tiny part of each couple’s own tale. The year is whizzing past and 2019 is just around the corner. I’m thrilled to say that my new brochure is now ready so if you’re getting married in 2019 or beyond and you’d like to find out more about celebrancy and celebrant-led weddings, get in touch. 2018 has been a fabulous year full of wonderful weddings and you’ll find some images from just a few of the weddings that I’ve worked on this year in the brochure too. There’s also lots of information about my services, how a celebrant-led wedding can give you a personal and individual ceremony that you’ll never forget and there are even some frequently asked questions that should answer any niggling worries that you might. I do still have some availability for weddings in 2019 and I’m now also taking bookings for 2020 so if you’d like to talk about creating something special for your big day, drop me a note. It would be lovely to hear from you. Well, it’s been a wonderful year of weddings so far and I can’t wait to share some of them here with you soon. However, another of my August weddings could well be coming soon to a TV near you! Earlier this month, I was so happy to conduct the wedding of an absolutely adorable couple at Cliveden House and it was filmed by Channel 4 for their upcoming documentary series that’s currently titled ‘A Very British Country House’. And yes, you’ve guessed it, J & M’s wedding was one of those events! So this shoot was pretty much the shoot of dreams. Not only was it organised by Emma of Coco Wedding Venues and award-winning wedding planner Katrina Otter, both of whom I know and love, it also took place at GreenAcres Chiltern. I've been working with GreenAcres for well over a year now, writing their website and brochure for them, and it's true to say that I'm absolutely in love with their woodlands and the super passionate team that manage them. As if that wasn't enough, the rest of the shoot team was simply stellar - photographer Hannah Duffy, florist Verity & Thyme and more all came together to create something so so special, it was an honour to be part of it. Just take a look at the credits at the end of this feature and you'll see just what I mean! To see more from this shoot, just click here. Videography - Roost Film Co.
Oh yes indeed, apparently celebrants are officially hot! According to this rather fabulous feature on Country House Wedding Venues, personal ceremonies are becoming more and more popular. Now this is a trend to love! So why are celebrant-led ceremonies the new wedding must-have? Well, I think it's quite simple really - individual ceremonies are the ultimate in wedding personalisation. For so long, couples have made their wedding day their own with flowers and themes, details and DIY and oodles of other wedding accessories. It's seemed as if the only part of the day that had really stayed the same was the ceremony itself. The format and wording of wedding ceremonies hadn't changed for decades, even centuries, and every couple says the same thing, in the same way, regardless of their own circumstances or situation. But now, with a wedding celebrant by your side, your ceremony can be the ultimate personal wedding day flourish. You can tell your own story, say the words that mean the most to you and include everyone and everything that you want. There are no rules and that alone makes these ceremonies all kinds of brilliant. So, whilst I'm enjoying be officially hot and on-trend, I'm also right here if you want to talk about your wedding ceremony. Just get in touch and take the first step towards a truly individual wedding. Hello again and this is a very happy feature indeed. I'm absolutely thrilled to say that I'm now a Preferred Partner at the incredible Town Hall Hotel, London. After hearing such wonderful things about this wedding venue, it was fantastic to visit the team there and to hear all about their wedding offering. I'm already looking forward to my first Town Hall Hotel wedding. So, if you've not yet discovered Town Hall Hotel for yourself, let me give you a quick introduction. The experience starts the moment you step inside and it's like traveling back in time or onto a film set. If you're a history buff, a lover of vintage or a fan of the golden age of glamour then you are in for a giant treat. The staircases, the paneling, the stained glass and the spot-on finishing touches. I swoon. The amazing council chambers are a spectacular location for a wedding but there are so many rooms and spaces at Town Hall Hotel that are perfect for ceremonies that it might be hard to choose! I mean, I'm a history geek but I did fall for the cool, contemporary De Montfort Suite and I couldn't think of a better spot for an intimate wedding. Town Hall Hotel is also super flexible. They can help you if you'd like some assistance or give you freedom to create the day that you've been secretly planning for years. There's no 'standard' wedding at Town Hall Hotel and that definitely makes me smile. Lastly - food. I have to mention the food. If you're a bit of a foodie or if you just like the thought of a wedding breakfast that's downright delicious and a million mouthfuls away from the dull and lukewarm then you're going to LOVE the menus at Town Hall Hotel. Just take a look at the sample menu and I bet your tummy will rumble. You'll find Town Hall Hotel in Patriot Square, Bethnal Green, London, E2 9NF. The wedding team can be contacted on weddings@townhallhotel.com and you can download the wedding brochure here. It's funny by sometimes, the older we get, the more we remember our childhood. There's always a special place in our hearts for the stories we were told when we were young and for the books we read. You'll find so many fabulous passages tucked inside the pages of children's books and here are five that make wonderful wedding readings. I will love you forever; whatever happens. Till I die and after I die, and when I find my way out of the land of the dead, I’ll drift about forever, all my atoms, till I find you again… I’ll be looking for you, every moment, every single moment. And when we do find each other again, we’ll cling together so tight that nothing and no one’ll ever tear us apart. Every atom of me and every atom of you… We’ll live in birds and flowers and dragonflies and pine trees and in clouds and in those little specks of light you see floating in sunbeams… And when they use our atoms to make new lives, they won’t just be able to take one, they’ll have to take two, one of you and one of me, we’ll be joined so tight. I love ALL of these readings. Frankly, if I could find a line from Milly Molly Mandy or Tom Sawyer, I'd be there for that like a shot! Choosing readings from a book that you absolutely loved when you were younger or one that was read to you is so so meaningful. There are also LOADS of ways to incorporate your love of literature into your wedding day in both the design of the day (check the images that accompany this post) and in your ceremony and I'll be happy to help you do just that if you'd like. Get in touch and we can go from there. If I had to choose just one of the many reasons why celebrant-led weddings are so fantastic, I'd definitely mention wedding venues. You see, with a celebrant-led ceremony, you can choose any venue you like. It doesn't need to be licensed for civil ceremonies, you don't have to worry about the availability of a registrar and, without these restrictions, the world is your wedding venue oyster. Oooh yes, Stanstead Bury in Hertfordshire is an absolute jewel. It's a gorgeous Grade II listed manor house that makes the most gorgeous backdrop for a marquee or tipi wedding. I love the fact that you can bring your pets and work with your choice of suppliers to make your day super personal. Dorset's Heathfield House is pretty much the country house that you've always dreamed about. It's perfect for intimate weddings and you can hire the whole estate for a truly exclusive event. Enjoy your own 300 acres on the fringe of the New Forest that comes with a private chef, waiting staff and full housekeeping. Heading a little further afield now, we whiz up to Shropshire and Willington Lodge. Surrounded by walled gardens, ponds, stables and picturesque fields, this luxurious bed & breakfast is perfect for a celebrant-led wedding. It's warm, friendly and the Morris family who own the Lodge are just the best hosts. You'll find Wise Wedding Venue tucked in 10 acres of established oak and silver birch trees (I swoon!). There are ceremony-perfect clearings tucked among the trees but it might just be the treehouse that steals your heart. Wise Wedding Venue is the most wonderful escape from the everyday. If you're looking for a London vibe then Area might be just the spot for you. This blank canvas venue in the heart of creative Shoreditch has room for up to 150 guests and space for you to do just what you want. The huge windows overlook a private courtyard oasis and there's also a dedicated events team on hand to help you out. Just a stone's through from Brighton and Lewes, Glynde Place in Sussex sits at the foot of the beautiful South Downs. You've got space for up to 200 lucky guests and Glynde Place simply ooze old school elegance. The spaces indoors that could be available for your celebrant-led ceremony are just heaven. Oh how I love Beagle. This tip-top venue sits under three restored Victorian railway arches just next to Hoxton overground station. There are four indoor spaces for weddings and a great outdoor heated terrace that features a retractable roof! Beagle has scooped a host of awards since opening and it's easy to see why. Home to free-roaming animals and natural beauty, Knepp Castle Estate in West Sussex is the thing that wild weddings dreams are made of. You can pitch up to 10 bell tents in the grounds too for your guests and who knows, you might have a few extra visitors in the form of deer or an Exmoor pony or two. An absolutely gorgeous private estate, Firle Place in East Sussex is a truly memorable venue for your wedding. You've got oodles of options for your ceremony (and reception) so all you need to do is choose between the lawns, orchards, 18th Century herb garden and, of course, the historic house itself. We're all used to there being interactive elements, such as hymn singing, in wedding ceremonies. In your celebrant-led ceremony, there are endless options available. So, if you'd like to get your guests involved, you absolutely can. Today, I'm looking at ring-warming and here's everything you need to know about this fabulous ceremony. Ring-warming, quite simply, allows your guests to 'warm' your wedding rings with their love and good wishes before you wear them. The rings, usually placed in a box or pouch or tied with ribbon, are passed around during the early part of the ceremony or are placed by the entrance so that everyone has a chance to 'warm' them before they're needed. If you'd like to include a ring-warming, it's a good idea to include a little explanation so guests understand the meaning behind the ritual. This is something that I would be able to write into your ceremony for you so don't worry if you can't find the words! We could mention why you've chosen to include this element in your celebration, what guests will need to do and what their participation will mean to you. Then, if you're passing the rings around, they're sent on their way and a groomsman or bridesmaid can bring them back to us at the appropriate moment. Ring-warming might not be the best plan from a logistical perspective if you've got a particularly large guest list but it can still be included. Either the rings are available for 'warming' when guests arrive or, if you're keen to pass the rings around, you can simply ask your parents, bridesmaids, groomsmen, grandparents and brothers/sisters to take part. I am a huge fan of this wedding ceremony ritual. It's an element that allows guests to get involved and everyone can add a little bit of themselves to your day without needing to speak out loud or stand up in front of the assembled crowd. Ring-warming is a very personal addition to your ceremony and it's easy to see why it's becoming very popular. If you'd like to find out more about including elements or rituals like this into your ceremony, do get in touch. I am most definitely an animal lover. In fact, my beloved black labrador is sitting under my desk as I'm typing thing. So, it should come as no surprise that I'm also a big fan of inviting your pet to be at your wedding. If you're pet is going to be on the guest list, you need to make sure that the venue you choose is pet friendly. Obviously, if you opt for a celebrant-led wedding ceremony, you can go for any location that you like. Fields, paddocks, woods and lakeside glades are all perfect for pets and for ceremonies. Alternatively, there are still plenty of options if you'd prefer a barn, country estate or stately home. Wedding venue directories such as Coco Wedding Venues even allow you to search specifically for locations that welcome furry friends. Then, work out how best to include your pet. Whilst we're all seen those super cute videos of dogs delivering rings on cue, be realistic about your pet's abilities. Most of us would be happy for them to simply be present throughout with barking at the wrong moment or eating their floral collar. So, have a good thing about everything (or ask your celebrant for some advice!). You might like to walk in with your pet and then encourage/bribe it to sit with you or with someone it knows. Just remember, there's no right and wrong - every animal has its own personality so choose something that suits yours without expecting too much. A stressed pet is never a good thing.